There is no denying the fact that quality of the content is the most important factor which decides the fate of a Blogger. With over 2 million blog posts published each day, you cannot survive in this highly competitive blogosphere unless you can write quality content at your blog. But then, we also know the fact that a King is just a powerless, ordinary man without’s it’s army. Same goes for your content too. Your content would be of no use without SEO and Content Marketing, its army. It is, therefore, imperative that your article is SEO friendly, and you are using appropriate content marketing strategies for your SEO friendly blog. While content marketing can help you develop your brand Image and get you some direct traffic, SEO is essential to get organic traffic from Google and other search engines, which often is regarded as the best traffic with high conversion rates. 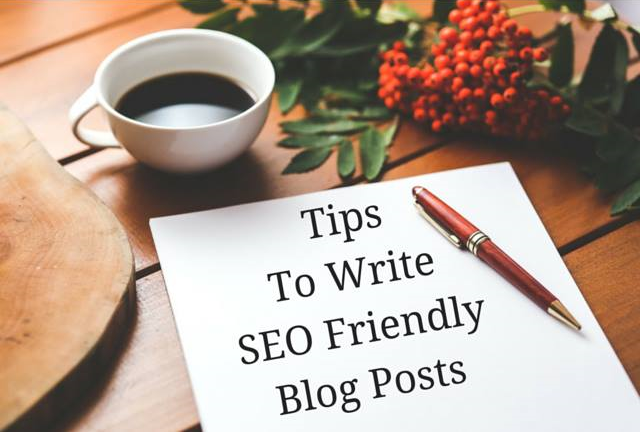 In this article, I am going to provide you with tips to write an SEO friendly blog post that can rank high up at the search engines. This is the first and a very important step before you start writing your article. You must do a detailed analysis of the topic you are writing about so that you know what topics your competitors have already covered and what they have left out. Your aim is to provide a more useful information to your readers than your competitors. ⦁ Check forums relevant to the topic. ⦁ Check the comments section of the relevant article at your competitor’s blog. ⦁ Check Yahoo Answers and Quora for related questions. Once you know what your visitors want, you just have to write a detailed article which answers addresses all possible queries of your readers. If your reader gets what he is looking for, he would be more likely to share your article with his friends on social media. He may also check out other articles at your blog, thus reducing your bounce rate. Also, a detailed article will increase the chances of other bloggers linking back to you, boosting your Domain Authority and Page Authority. 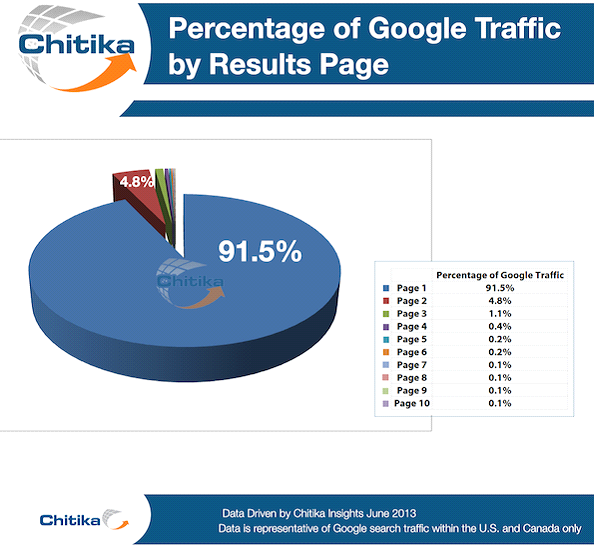 According to a study carried out by Chitika, for a particular keyword, search results on page one of Google are likely to get 91.5% of traffic while those on page 2 gets only 4.8% of traffic. So unless you target keywords for which you can rank on the first couple of pages of Google, you will be getting little to no organic traffic to your website. It is, therefore, imperative that you do proper keyword research to find the Long Tail Keywords which are not only less competitive but also searched very frequently. Ideally, you must target at least 4-5 long such tail keywords to make sure you get a decent amount of traffic to your blog. Latent Semantic Indexing (LSI) Keywords are keywords that are semantically related to your primary keyword. They can either be synonyms of you main keyword or closely related to the same. Over the years, Google Algorithm has become smarter. They don’t just blindly search for your keyword; rather they try to know your intent behind each search. This is why LSI Keywords have become so important. Let us try to search for the keyword “Search Engine Optimization” and see what Google gives out. As you can see in the screenshot above, even though we searched for “Search Engine Optimization,” Google has bolded “SEO” which means it was also trying to search for the keyword “SEO” which is an acronym of “Search Engine Optimization.” The same logic applies to the keyword “Cellphone”. You will most likely see Google searching for “Mobile Phone”. Using LSI keywords can significantly help you boost your search rankings as it enables you to target more keywords that people are likely to search. It can also help you to keep your keyword density under check. This is another important factor which you need to consider while writing an SEO friendly blog post. Following are the places where you can squeeze in your keywords. 1. Post Meta Title: It is the most important place to put your keywords. Keywords in Post Title gets more weightage than keywords in other locations. For bets results, you must put your main Long Tail Keyword containing your short tail keyword in the post title. 3. Meta Description: Since you can write Meta Descriptions of up to 150 characters, it is relatively easy to squeeze in your long tail keywords. A killer meta description can also increase your CTR. Though the effect of CTR on Google rankings is debatable, higher CTR would certainly result in more traffic to your blog. 4. Content Headings: Most theme’s use H1 heading for your blog title. So do not add any H1 headings in your post. You can put your keywords in H2 and H3. However, make sure to use a different combination of keywords in each H2 and H3 headings. Repetitive use of the same keyword in all the headings will be classified as spam by Google. 5. Blog Content: Of course, keywords in Blog content are important too. For a 1000 word post, you should use at least 4-5 long tail keywords. For longer posts, you can use more. As for your main Short Tail Keyword, try to maintain Keyword Density between 1 – 1.5%. But you should not be obsessed with the same as it does not carry a lot of weightage these days. Using a keyword in the first and last 100 words of your article is also considered a good SEO practice. 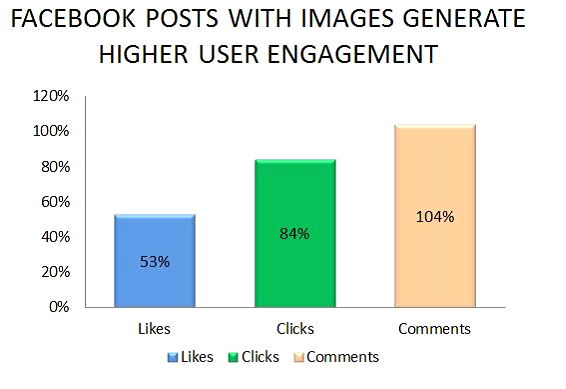 According to HubSpot, a Facebook post with an image can get you 53% more likes, 104% more comments, and 84% more clicks. Social shares are one of the most important Google Ranking Factors which can greatly boost your rankings. You must also make sure to SEO optimize your images by adding the Alt Tags to each image so that search engines can decipher what the image is about and get you some extra traffic through Image Search. Lossless compression of the image to reduce its size is also important to make sure your web page loads faster. You can use any desktop software/ WordPress plugin to achieve the same. Embedded videos can help your visitors spend more time on your blog thus sending positive signals to Google about the quality of your content. If you provide references from authority websites, it will instill confidence in the mind of your visitors. Citation of appropriate sources is probably the main reason people blindly trust Wikipedia. But a lot of people feel that linking out to external websites, will pass on the link juice to the other website thus negatively affecting their ranking. However, this is just a myth. On the contrary, according to Moz, if you are linking back to authoritative websites, it may be seen as a positive move by search Engines. Also, if you link back to a high authority blog, they will definitely notice that your blog is sending them traffic and will most likely check out your article. And if your article is good enough, they might just share it with their followers or even link back to you. What you must avoid, though, is linking back to external websites using anchor text with your target keywords in it. This may negatively affect your SEO. Internal linking is very important SEO technique, often ignored by many bloggers. Internal linking is not just about reducing bounce rates by retaining your visitors, but it is also about passing the link juice to other pages. You certainly cannot get backlinks from high authority sites to all your pages. But with internal linking, you can pass on the link juice to other pages on your blog. Apart from this, by using internal links, you are also improving the “Crawalability” of your blog, thus making sure your posts are quickly indexed by search engines. It is very important for you to make sure your content is SEO friendly if you want to get a decent amount of organic traffic to your blog. It may take few extra minutes to follow the tips mentioned in this post, but it is definitely worth the time. Hope the above tips help you in your journey of creating SEO friendly blog posts. Aquif Shaikh is a blogger from Vadodara, India. At his blog Bloggerz Arena , he writes about blogging tips, SEO and making money online. Nice write auqif. You have mentioned all the important points to make a blog post seo friendly. Let me know if you have any blog on how to find LSI keywords? I am working on a detailed article about LSI Keywords. Meanwhile, you can use LSI Graph, a web-based free tool which makes it extremely easy to find LSI Keywords. Good to see you here at Blogail. I must say, it’s a perfectly crafted guide to create seo friendly blog post. Appreciate the LSI and Keyword placement points. Thanks. I’ve heard that on-page keyword density has changed as of recent. Is it true that Google would prefer that keyword density no longer be considered but rather writing natural to your audience is more imperative? What I typically do is write the article and then keyword optimize it but much less than 4 to 5 times in a 1000 word post. I optimize the title, image and once in the text while implementing LSI strategies. Just wanting to know if you think this is a correct way to go about the process of writing SEO friendly content. I agree with Ravinder Dande. What you are doing is the right way. Just make sure you are using the important keywords in Title and Meta Description. As for the content, use it naturally within your article ignoring the Keyword Density. Awesome piece Aquif! You mentioned LSI Keywords, I was wondering if do you have any tools you can recommend? Would love to know your expert opinion. Thanks! I am using SEMrush & Long tail pro for finding LSI and I also look at related search terms in Google SERP. You could also find LSI keywords using “Related Searches” at the bottom of Google Search results.